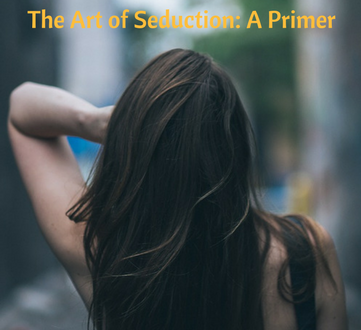 The Art of Seduction is the premiere text for men looking to improve with women. Robert Greene, also the author of 48 Laws of Power, does a masterful job of intertwining historical narratives with timeless social truisms. The rules of seduction are so much more than just a blueprint to attract women; they can be applied independently or in unison with the 48 Laws to persuade seemingly anyone in any given situation. This primer will focus specifically on the social aspect of the Art of Seduction, specifically, how you can improve with women. These personas are distinct from one another, but as Greene says, “you will recognize part of yourself” in at least one of them. My goal is to break down four of the personalities to help you identify the character traits most applicable to you. I was originally going to do all nine personas, but there is decent overlap between them. By focusing on the Siren, Rake, Ideal Lover, and Dandy, you will get a comprehensive look at the ways in which you can play your path of seduction. It’s highly possible that you have some of the natural characteristics necessary for attraction, but are unsure how best to use them. This series will help you not only unlock these dormant traits, but to add and improve upon them. Each of you has the power to master the art of seduction – it’s simply a matter of understanding and application. Experience will be your ultimate teacher. Greene’s historical examples of seduction are what elevate his book to godlike quality. His remarkable research exposes readers to an unfathomable scope of examples across multiple time periods and geographical locations. Through these stories, you can conclude that seduction has existed from the earliest days of human interactions, transcending time and culture. The traits and characteristics of the master seducer are timeless. The techniques used by a man 500 years ago to seduce a woman would be just as effective today. I will differ from Greene’s analysis in two regards. First, I will use a masculine perspective in regards to the nine personalities. Some of the personalities are feminine in nature, but I will do my best to highlight ways in which men can cultivate them, if they so choose. In emphasizing a masculine approach, my aim is to blend bits of red pill doctrine with Greene’s established personalities. Secondly, I will use a modern lens to break down how to best apply these personalities in today’s fast-paced world. Modern technology, for instance, is a medium that has added a new element to seduction. I began this blog writing about how to be a man, and in turn, how to attract women. I threw myself right into the fire. I used myself as the guinea pig. I shared everything I learned with my readers, and although I am no longer in the game, I have a strong desire to use my deep knowledge to help men who feel lost, frustrated, and marginalized when it comes to women. The reason Shameless Pride exists is to help men make sense of the world around them through self-mastery. Understanding women is crucial to your growth and development. One could argue that attracting women is the most written about topic on the internet. Unfortunately, most of what you read is nonsense, at best a long-winded step by step approach, at worst the opposite of what you should be doing. Books were crucial in my development. I sought of the best advice from the best teachers. I have taken all that I have learned from others and my own experiences, and gave it to you over the years. In this forthcoming series, I will analyze Greene’s ultimate manifesto on seduction to help you understand its contents using the uniqueness of your own lives. The days of struggle are over. Your future with women is bright.